(Es.) ¡¡¡Hola!!! Hoy te propongo una combinación de accesorios que puedes adquirir por separado y es sencilla pero elegante para tu trabajo. /////// (En.) Hey you guys!!! Today I share with you a combination of two accesories that you can buy separately. It can be used for work because it is very simple and elegant. (Es.) Las pantallas negras que ves las adquirí en un carrito de Plaza Las Américas que se llama Link Collection PR. Son de acero inoxidable y me costaron $12.00 dólares. Llevan cerca de un año y medio conmigo y siguen nuevas. //////// (En.) The black earrings you see were purchased at a small accesories cart at the Plaza Las Américas Mall here in Puerto Rico. The cart is called Link Collection PR. They are stainless steel earrings and I think I bought them for $12.00 dollars. They have been with me for over a year and a half and still look as good as new. (Es.) 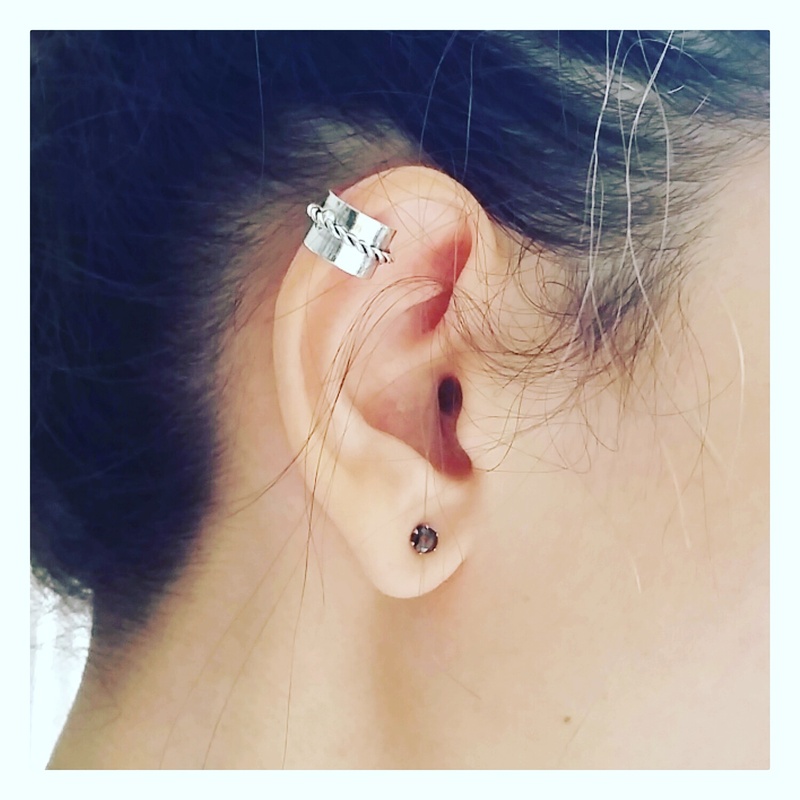 El "ear cuff" lo compré en la tienda Claire's ubicada en el primer nivel del mismo centro comercial. Las compré en una promoción donde comprabas tres artículos y te llevabas tres gratis de igual o menor precio. ¡¡¡¡Excelente!!!! Me he comprado un montón. Créanme que valen la pena. //////// (En.) The ear cuff, as you all know by now, was purchased at the Claire's store located at the first level of the same Mall. I bought them at a store promotion where you bought three and three were given back for free. They had to be of the same or lesser price. Excellent deal!!!! I bought a lot of them. Trust me they are worth it!!!!! (Es.) Como ese día estuvo lluvioso combiné ambos estilos. Mi inspiración fue el mar y el nudo que lleva el "ear cuff". Se veía bien marinero. Al menos ha gustado mucho por Instagram y en persona. Espero que también te guste. ¡¡¡Hasta la próxima!!! Xoxo. B. ///////// (En.) Since that day was a rainy one, I combined both styles and they looked great. I was inspired by the knot shape of the ear cuff and the sea. Everybody on Instagram loved it and in person too. I truly hope you like them too. Till next time!!!!! Xoxo. B.